Scroll to the bottom of this page to take action to reduce pesticide loads in foods! Friends of the Earth, OEFFA, and other organizations have released a new report, "Toxic Secret," exposing how widespread pesticide residues are in our food. Glyphosate, a probably human carcinogen, and key ingredient in Roundup®, was found on 100 percent of pinto bean samples tested. 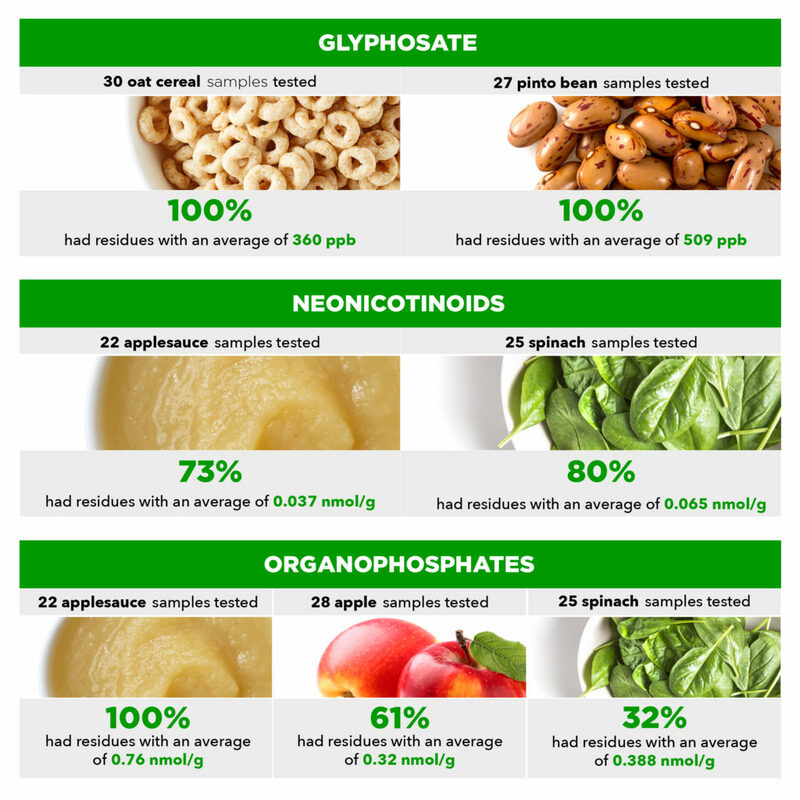 Organophosphates, which are so toxic to children's developing brains that scientiest have called for a complete ban, were found in 100 percent of applesauce samples, 61 percent of whole apples, and 25 percent of spinach samples. Neonicotinoids, which the European Union has banned due to a scientific connection between the chemical and bee die-offs, and which have been linked to endocrine disruption and autism spectrum disorder, were found in 80 percent of spinach and 73 percent of applesauce samples. 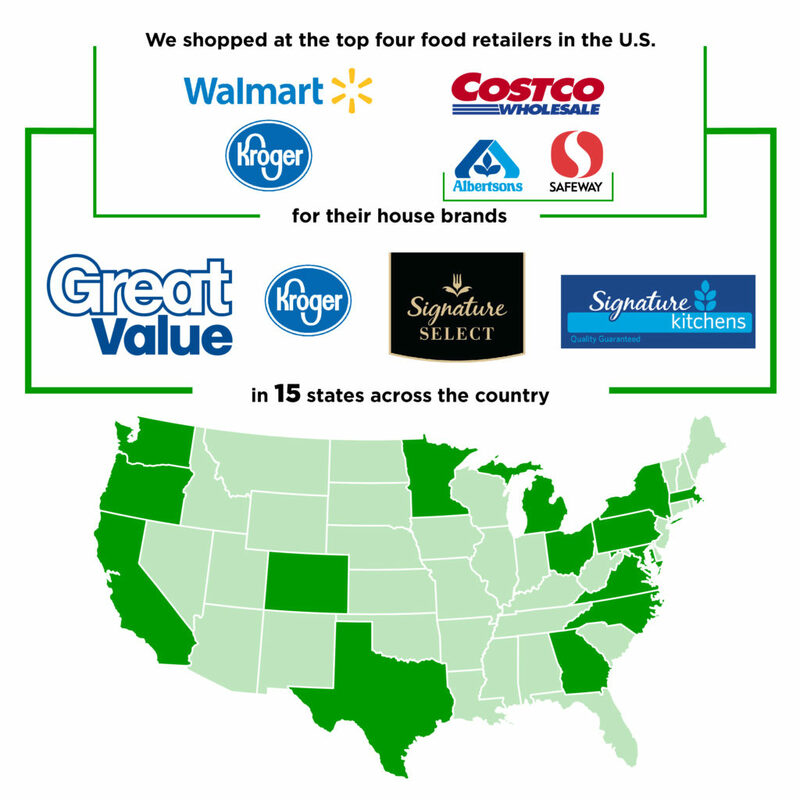 OEFFA is one of several organizations across the country that participated in the sample collection at Walmart, Kroger, and Albertsons/Safeway. While some of this testing revealed high levels of contamination, even small exposures of toxic pesticides can have significant and lifelong impacts. More than 90 percent of Americans have detectable pesticides in their bodies, and children are particularly susceptible. The public is increasingly turning to organic foods to avoid these exposures. In addition to protecting the environment and public health, organic farming creates more rural jobs than conventional farming and reduces rural poverty. Yet, organic and transitioning farmers don't get the state and federal support and organic research funding they need to level the playing field with chemical agriculture. Please take action today! Email the new DeWine Administration and the Ohio Department of Agriculture and ask them to increase their support for organic agriculture in Ohio! Personal messages are best. If you have time, please add your own thoughts and concerns prior to sending. Thank you!